Watching for whales off the coast of Vancouver Island, B.C. Vancouver Island is very different from the glamorous city; it’s British Columbia’s eco-haven for outdoors families interested in bikes, hikes and gray whales. Every summer, over eight million tourists come to Vancouver for the West Coast experience: the sunsets, the beaches, the scenery. And yet, every weekend, crowds of Vancouverites escape to someplace further west. 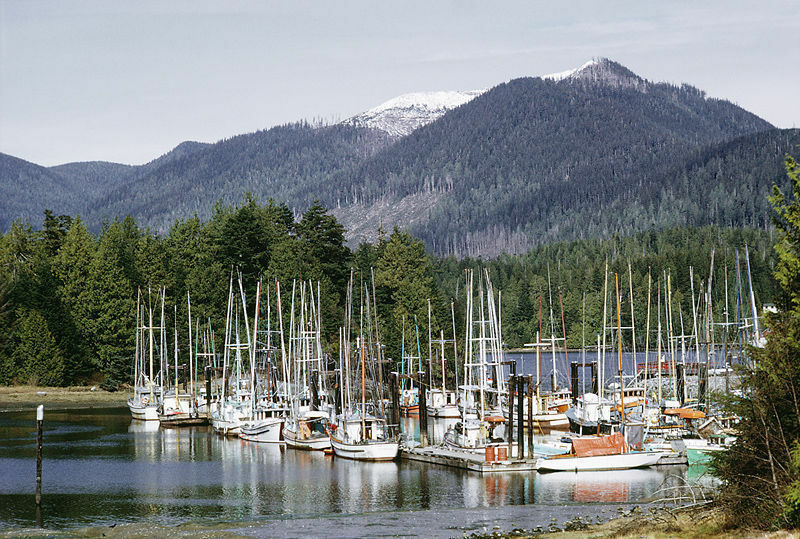 Their destination is Vancouver Island, best known for quaint “bit of olde Englande” Victoria, but home also to spectacular Clayoquot Sound, a UN Biosphere Reserve and great place for a family holiday. Rugged nature abounds, with old-growth rainforest, and crashing surf. Our trip began at Horseshoe Bay (you can also depart from Seattle) with an hour-and-a-half scenic ferry ride to Nanaimo. The ferry has several restaurants, a gift shop, a play area for small kids, and (mixed blessing) a video arcade. Be sure to make reservations for your vehicle at BCFerries if you’re not renting a car in Nanaimo. The 206km (130 mile-long) drive across the island has several must-see stops. The rambling, packed-to-the-rafters Coombs’ The Old Country Market (250/248-6272), just past Nanaimo, is great for lunches and ice cream, but best known for the goats that graze on its sloped grassy roof. Thirty minutes further on are the 800-year-old fir trees of Cathedral Grove in Cathedral Park, Parksville, BC. As soon as we arrived at the resort, we headed to the beach. Huge foaming waves break in the distance, but kids can enjoy a wide expanse of hard-packed sand: great for walking, building sandcastles, kite-flying — even biking. Our suite had a kitchenette, fireplace, and raincoats in the closet for guest use. This is, after all, the rainforest. Jamie’s Whaling Station & Adventure Station is based in laid-back Tofino. 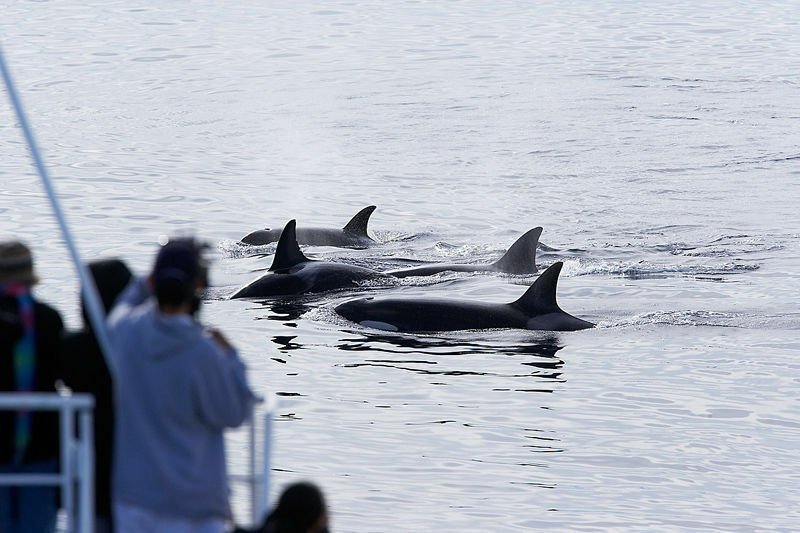 Keep in mind that whale-watching season is from March through October, and you may want to call and book ahead in the high period of August. On the appointed day, our small group boarded a zippy Zodiac style vessel for the adventure. As our captain hunted for gray whales, he talked about the habits of these giant mammals. It’s a thrill to hear the gasp of air as a free cetacean comes up to breathe, but snapping a photo is difficult! Take a camcorder, if you have one, and keep it running. With young kids, choose a boat where they can move around, and bring snacks, drinks and layers of clothes. Some 20,000 gray whales migrate past Tofino during fall and spring; but a number have decided to stay year round at choice feeding spots, which means that your chances of whale-spotting on Canada’s real West Coast are excellent even in the summer high season. For this family traveler, with two young sons, the Great Outdoors needed a Great Indoors, too. We stayed at family-friendly Pacific Sands Beach Resort over a weekend to see gray whales. It’s located 7 miles south of Tofino at Chestermans Beach on Cox Bay, officially at P.O. Box 237, Tofino, BC V0R 2Z0 Canada. Pacific Sands is a nice getaway any time of year because it offers easy access to fishing, golfing, kayaking, surfing (2-hour beginner lessons available right here), hiking or beach combing. Nicely decorated suites cost upwards of CDN$$ per night, depending on season and suite type.